OK - let's settle a score right up front. I was completely prepared to rip on KLIM. KLIM gear is spendy and seems to have a lot of Starbucks type snob appeal to every ADVrider type on the web. Since we at MoJazz tend to be contrarians (and support local coffee shops) I had the old Louisville Slugger close by when contemplating this review. Add to a less-than-the-greatest predisposition the fact that the first set of 38" long pants I ordered up from KLIM had legs that were about 6 inches too long for even me (at a very long-legged 6' 3" and 200 lbs) and that the second set came in the wrong color. Oh yeah - toss me a couple of those bat weights so I can get warmed up proper. Then a funny thing happened on the way to the batting cage. After wearing my KLIM Mojave jersey and pant combo on the Tour of Idaho, in several MXGP races, and on a dozen or so trail rides over a three month period I got my mind right. If the Mojave jersey/pant combo is any indication of the functionality, attention to detail and overall quality of the line then KLIM is one of those rare products that's everything it's cracked up to be. 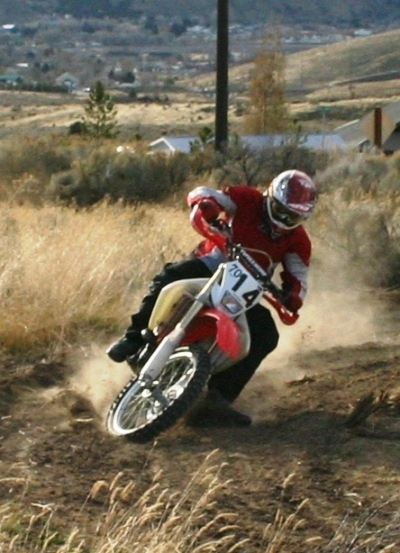 The Mojave jersey, and especially the Mojave pant, are two of my favorite items of functional moto-apparel. 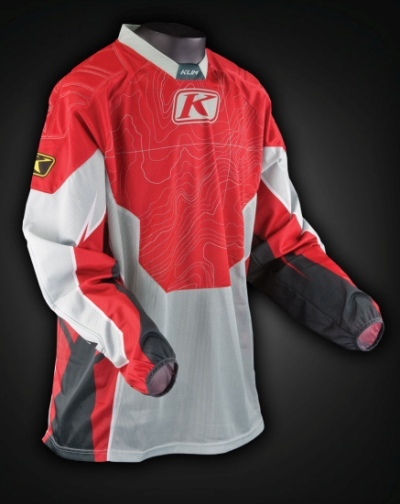 The KLIM Mojave line is ventilated for comfort on warm rides. The pant and jersey have are constructed with moisture-wicking materials and have large ventilated panels designed to allow the free flow or cooling air. I have found the Mojave combo, when paired with my Troy Lee Designs BP 3600 shorts, Thor Impact Rig, and Under Armor Heatgear compression tee, to be quite comfortable in temperatures from the 70's up to triple digits. 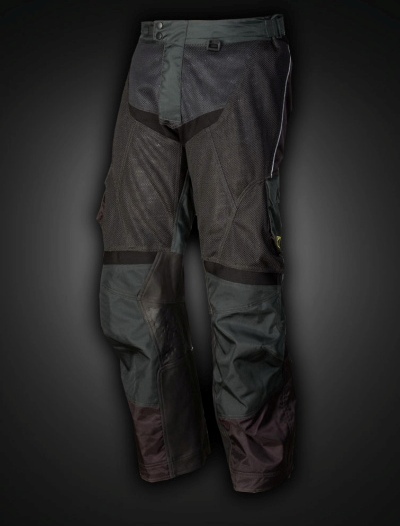 The Mojave Pant is an over the boot style pant built on a chassis of heavy-duty nylon and abrasion-resistant Cordura® with leather panels on the inner legs and stretchy gussets in the knee and crotch areas to allow comfortable freedom of movement. The pant cuff is of a particularly commendable design replete with widely adjustable, very strong Velcro closures allowing ridiculously easy access to boots, socks, knee braces and anything else you might have strapped on down there. The pant has a moisture-wicking polyester inner liner that's plush and comfortable. The YKK® zippers are stout and the various flaps and vents are well-sorted and well-placed. The waist has Velcro adjusters augmenting a self-adjusting elastic yoke. The waist also has a high back that one staffer found to be a little intrusive in his Mojave's (until he got used to it) but that I personally find quite comfortable. The stitching and general build quality is simply outstanding. This is one beefy garment, festooned with useful features. The Mojave jersey is constructed with Coolmax® along with other moisture wicking mesh materials and features low profile seams, padded shoulders, padded elbows and a unique, very comfortable collar. The material is a little "grabby" when being put on over armor and the neck has sprung a seam or two just from being pulled over my head, but in all fairness that's been quite a few times (alright, alright - maybe I DO have a swollen head and that's the real problem). The jerseys do appear to run small so I'd recommend ordering up a size unless you have the opportunity to try one on before purchasing. Overall everyone at MoJazz who's sampled the KLIM Mojave gear is very pleased with it. Over the years we've worn and reviewed a number of excellent jersey/pant combos from MSR (another favorite), Fly Racing, O'Neal, Moose and Fox suitable for adventure riding. Nothing, however, has impressed us as much as KLIM. I think that they have the adventure riding market niche nailed. Although other manufacturers offer bits and pieces of apparel rugged and suitable enough for the various extremes encountered in Tour of Idaho, Vegas to Reno and MXGP type riding and racing, KLIM offers an entire line. The best form of respect is that earned. 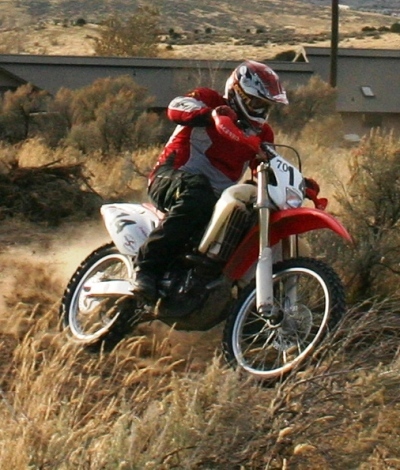 KLIM forced me to respect them and they did it the old-fashioned way - through superior design, craftsmanship and quality. 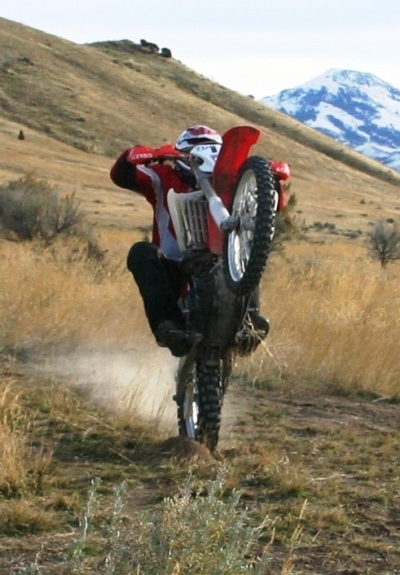 There just isn't much need to look further for the best quality adventure riding outerwear. The Good: Incredible build quality. The Rad: Feature rich - defines trick. The Gnarly: Explaining to your significant other why expensive riding accoutrements are OK but expensive purses are a waste of money.